Coraline owes much to the inventive Neil Gaiman, but claims roots that go far deeper than you might guess. 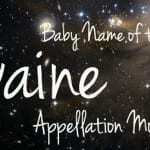 Thanks to Kate for suggesting our Baby Name of the Day. We’re wild about Cora names lately. Cora has climbed into the US Top 100, and our Baby Name of the Day continues to gain in use, too. Credit the marvelous Countess of Grantham from high-brow television hit Downton Abbey. 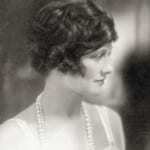 Or maybe the rise of Nora explains our love for the sound. But Coraline owes even more to a popular book turned cult classic movie. In 2002, Neil Gaiman published a dark children’s novel, a tale of daring young girl who discovers a parallel existence. Gaiman has often explained that his character was originally called Caroline, until a typo changed her name – and made him curious about what happened next. The novel racked up awards, and was quickly developed into a movie. In 2009, the world first watched Henry Selick’s stop-motion take on Gaiman’s spooky story. Academy Award and Golden Globe nominations followed, and the movie stands as a twenty-first century classic of sorts. Parents noticed, too. By 2006, seven girls received the name. In 2009, the number ballooned to 120, and 238 the following year. 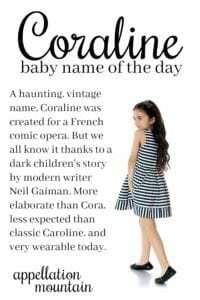 In 2017, more than 500 girls were named Coraline. So it seems like Gaiman invented the name. But he didn’t. Coraline actually debuted on the Social Security charts with six births back in 1970. Was it a creative invention based on Cora? Maybe. The Dictionary of Medieval Names from European Sources lists Corella, found in Spain way back in 1510. So surely the -line ending could be out there, centuries before Gaiman picked up a pen. In France, there’s an uptick in Coralie in the 1990s – and a corresponding rise in the use of Coraline, too. The site lists the -line ending as a form of Coralie. As it happens, Cora and Coralie aren’t related. At least, the former comes from a Greek word meaning maiden, associated with the goddess Persephone. The latter comes from Koralia, a Greek word referring to coral, and long used as a given name. In practice, the names are mixed up together and it’s tough to untangle them. Still, the French might have originated the name. Adolphe Adam’s 1849 opera Le toréador included a character by the name. Don’t recognize Adam’s name? You almost certainly recognize one of his compositions: the traditional Christmas carol “O Holy Night.” Or maybe you’ll know the music for his best-known ballet, Giselle. Back to the opera. The toreador in question is Don Belflor. 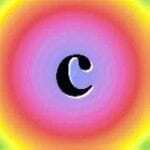 His wife, a retired opera singer, answers to Coraline. She loves someone else, a wily musician named Tracolin. Through a series of improbable events, Tracolin convinces Don Belflor to consider cheating on his wife. If this sounds like a set-up for tragedy, worry not. Instead, it all ends happily. The opera proved a crowd favorite, and was performed regularly over the next few decades. Today it’s performed occasionally, but seems relatively unfamiliar – perhaps explaining why the name remained so rare. If Adam’s opera proves the name’s history prior to the Gaiman novel, it’s clear that it wouldn’t be the hit it is today without the twenty-first century story. In 2007, a television series about a vampire detective called Moonlight debuted on CBS. The main character, Mick St. John, had been transformed into his immortal and suntan-averse state by his bride on their wedding night. Her name? Coraline. The series didn’t last long, but it goes to show that the name was already bubbling up – a little bit vintage and slightly outside of the mainstream. That remains true today. While it stands at #586, it feels under-used and still slightly undiscovered. Perhaps it trends a little Goth, thanks to Gaiman’s story, but it’s far from Maleficent or even Lucretia. If you’re crushed that Adeline and Josephine are so popular, perhaps this is the name for you. What do you think of Coraline? Would you consider it for a daughter? Or is it too tied to the book and movie? I love Coraline! Both the film and the name itself. Sweet, unique, truly haunting. I hope it doesn’t gain more popularity. Oh yes – haunting is exactly the right word to describe this one!